Adult Swim Games last week announced a brand-new mobile game called Pocket Mortys, which launches on the App Store today. Based off of the network's hit show Rick and Morty, the game is set up as a parody of the popular Pokémon franchise and will set players up against a collection of alternate versions of Morty who are under the control of evil alien trainers. 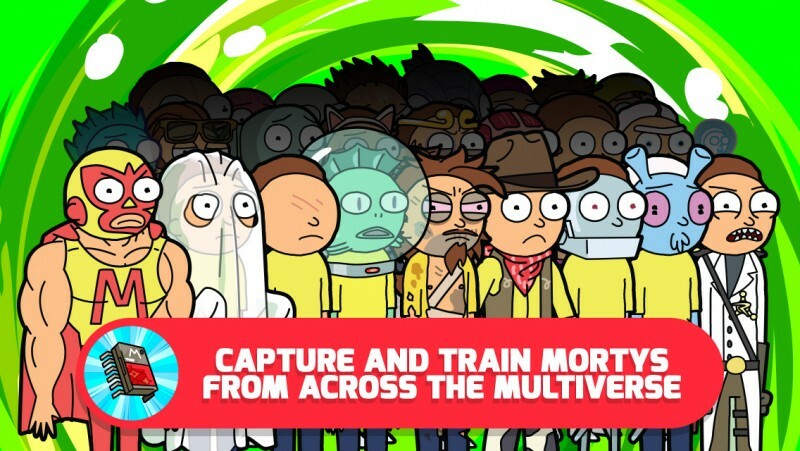 As described by our sister site TouchArcade in a full preview, Pocket Mortys puts players in the shoes of Rick and tasks them with fighting, capturing, and training as many diverse Mortys as they can to have the best possible collection in the game. Adult Swim Games' new app eschews Pokémon's complex mechanics of elemental type characters for a simpler and more random "Rock, Paper, Scissors" system, focusing more on rewarding fans of the show than offering deep systems for more intense gamers. Rather than use an entire chart of elements, it looks like most Mortys will be one of the old tried and true Rock, Paper, Scissors categories. While this may disturb the monster capture game purists out there, this game seems to be set up primarily as fan service to the Rick and Morty show. At the moment, I don't see any in app purchases. You can do opt-in video ad viewing for the in game currency, Schmeckles. You can expect to see a Fallout Shelter-like pay structure emerge from the game at some point, but just the fact that I don't even have the option unlocked yet to view their IAP should be a testament to their decision to keep it understated and pretty discreet. In total, users will be able to capture and train over 70 versions of Morty throughout the game, including Mustache Morty, Wizard Morty, and Cronenberg Morty. Pocket Mortys will also let players craft items from itemized references to the show, engage in side quests, and interact with characters like Bird Person, Mr. Meeseeks, and more. 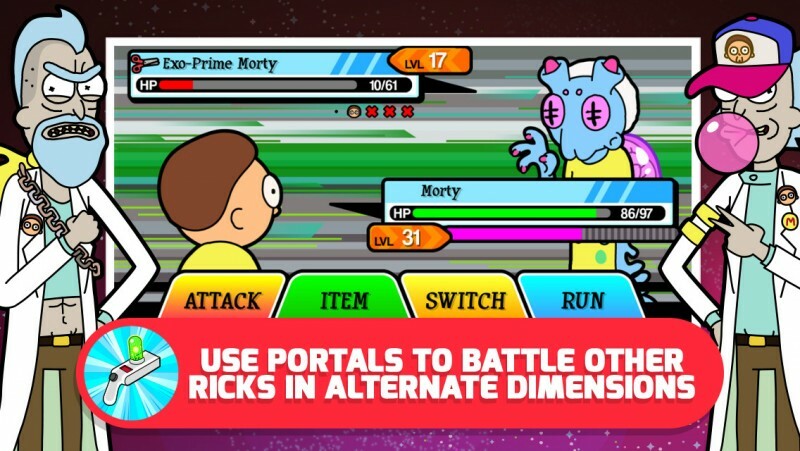 Rick and Morty fans can download Pocket Mortys [Direct Link] for free today on the App Store. The in app purchases are found at the Blipz n Chipz station once you get to the main city with the portal to the other battling dimensions. You can get items from buying credits, 1 dollar a credit, $20 for 40. Doesn't look like it affects gameplay other than getting more items, unlike other games where you can't advance much further without buying in app purchases. Game is ****ing hilarious too. Yeah it will be a lot of fun, besides the 10,000 micro transactions that will run the game into the ground. This will be another great game destroyed by micro transactions. Your priority should be to read the article, rather than making the first comment. Did you read the article or just skip over it entirely? They repeatedly mentioned that there are currently no IAP. I wonder what the plan with monetizing this is... like, did they create it just for fun? It seems like a lot of effort to put into something, even if it's a watered down version of Pokemon. EDIT: I read the article, please stop telling me I didn't. At the current time there are no in app purchases. I know. But with a game like this it's bound to happen. Can't wait for Yellow Version to come to the DS in Feburary! I'll be able to relive my childhood weekends!